Charlene Belitz and Meg Lundstrom in The Power of Flow: Practical Ways to Transform Your Life with Meaningful Coincidence. 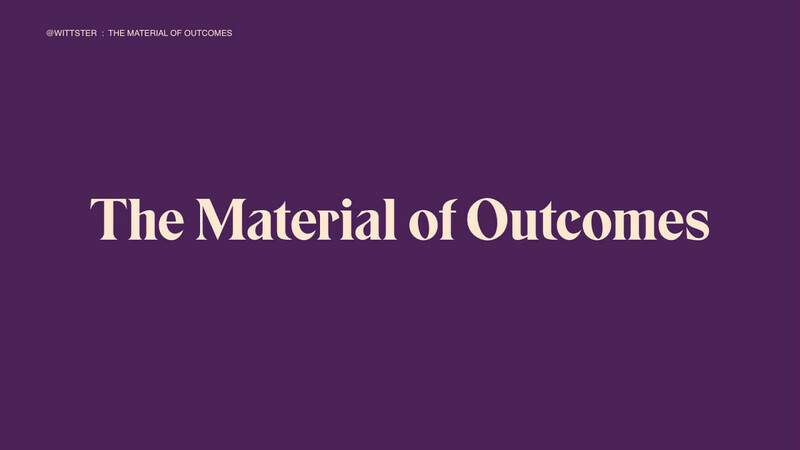 View The Material of Outcomes on Notist. Linn puts presentations on for free. You can too. I feel like I missed out on an historic rock gig. Gah! Evidently a stellar talk by a leader in the practice, @wittster. This was beautiful - thanks for sharing Linn! Thank you!!!! I missed the conference this week due to illness but this is fabulous! Much appreciated! #SDCimpact @kimgoodwin on design confidence, values and measuring the impact of design - ”It's not a value if you don't apply it when it's inconvenient.”, “Until we learn to measure what we value, we will continue to overvalue what we learn.”@wittster possible desirable futures.